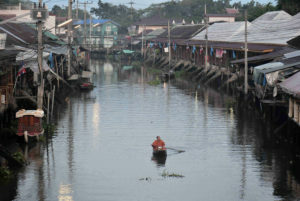 It’s hard to imagine now that Hua Hin was an erstwhile fishing village. Just two hours away from Bangkok by land, you’ll feel a world away as you are lulled into dreaminess by the sun and embraced by azure waters that conceal copious marine life. No wonder this thriving district in Thailand has lured the Royal Family who ended up establishing summer residences here to escape the Bangkok buzz. 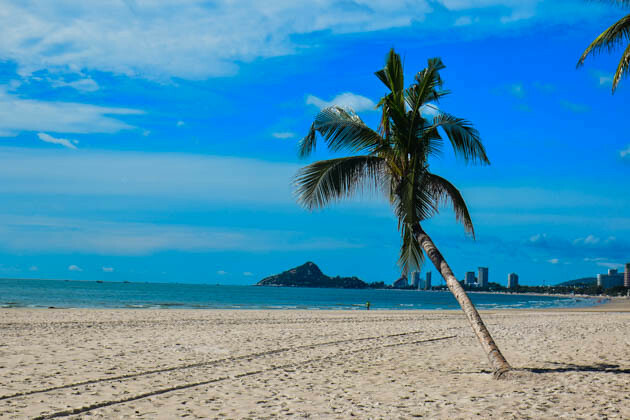 In recent years, luxury resorts have mushroomed in Hua Hin, attracting throngs of foreign and local tourists and expats who chose to retire here. It’s a wise choice as Hua Hin is pretty accessible by train and bus from Bangkok, not to mention that seafood and beach-hopping here is inexpensive. 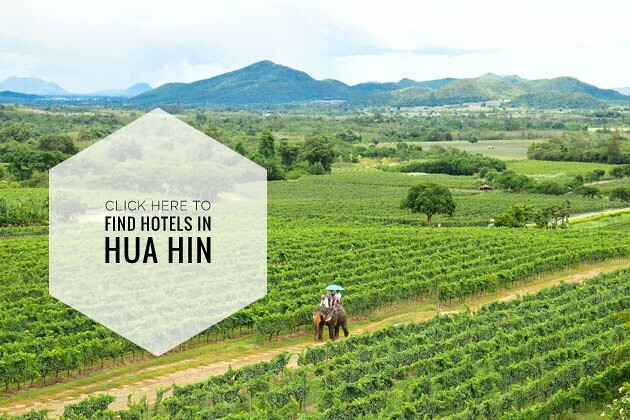 If you are traveling to Hua Hin soon, this blog will help you plan your trip. I’ve rounded up some of the best things to do in Hua Hin for first time travelers. 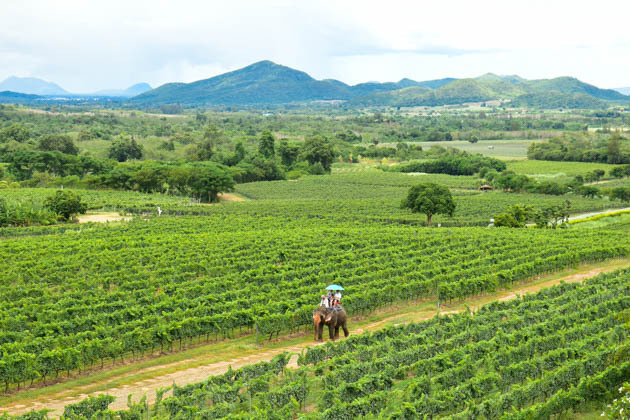 Hua Hin Hills Vineyard defies the belief that viticulture is not possible in tropical countries. Yes, growing grapes and wine-making is possible in Thailand. Head to Hua Hin if you want to stroll along a grape-fringed valley and taste the New Latitude Wines. The types of grapes that are gown here include Merlot, Shiraz, Muscat, Colombard, Cabernet and Sauvignon Blanc. Interestingly, the winery is owned by Chaleo Yoovidya, founder of the famed energy drink Red Bull. 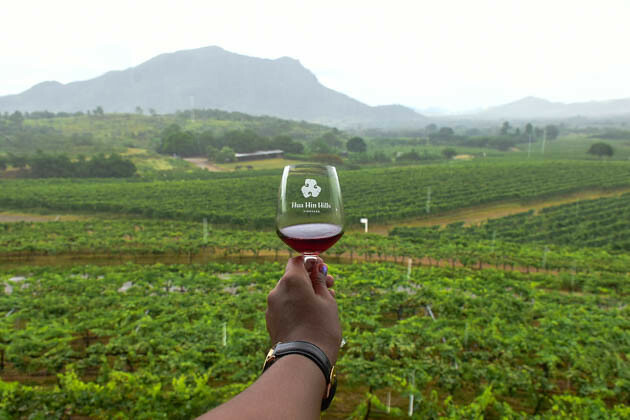 Tourists can avail of the Hua Hin Hills Vineyard tour package for TBH 2,100 per person which includes an open-top jeep tour of the vineyard, a three-course meal and wine tasting, plus a souvenir. Alternatively, you can go for the vineyard tour by jeep followed by wine and tapas tasting for TBH 1,700. If you are on a tight budget, try the wine tasting which starts at TBH 240 for 3 wine glasses and then join the jeep tour around the vineyard which runs from 1:00 PM to 4:00 PM. Ride the shuttle service of Hua Hin Hills from Villa Market in Hua Hin. Roundtrip fare is TBH 300. Otherwise, you can rent a car or hire a taxi to take you here. Hua Hin is framed by bone-white shore lapped by sapphire waters. Thankfully, most of them are within easy reach from the city. If you are dying to go swimming, head south to Khao Takiab where the water is not too deep and the sand is powdery. Just avoid going near the large rocks because it is inhabited by sharp seashells. Some shops along the coast do offer water sports, and if you wish to get a tan, just nab a sun bed nearby. Take a cab or tuktuk from your hotel or at Hua Hin town center. This friendly island don’t just summon beach-bums, but they attract foodie as well. Do not miss the seafood in Hua Hin. And another good news is, seafood here won’t empty your wallet! Highly recommended is the seafood menu at the Rua Rim Tam restaurant. And no worries, you will never run out of a place to dine here! If you happen to be at the Hua Hin Night Market, check out the menu of the restaurants standing shoulder to shoulder on the alley, they serve fresh seafood and local dishes as well. Hua Hin is facing the Gulf of Thailand, and the one of the best place to soak up this view is the viewpoint at Khao Tao Hill. If you are worried that you will run out of breath, don’t fret as it is an easy hike. 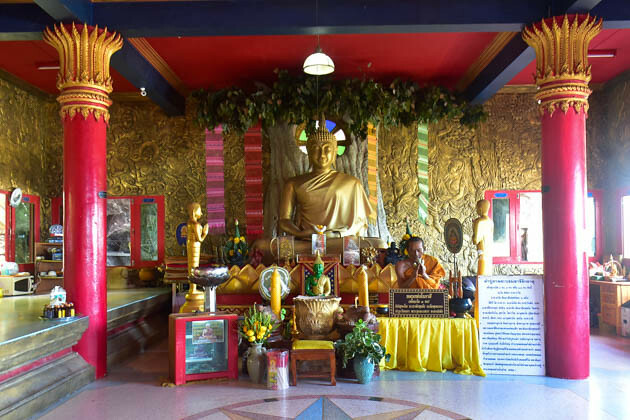 You will enter a grotto housing a temple where several Buddhist gods and deities are enshrined. Farther up is the Turtle Shrine where you can see the dramatic view of the surrounding sea. There are two gray-sand beaches fronting the temple, where fishing boats are parked. 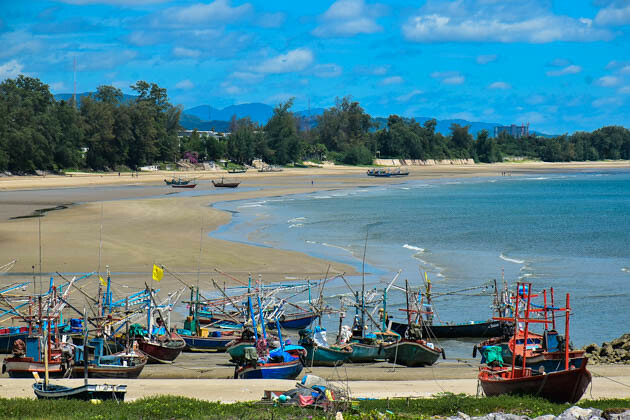 They are collectively called Khat Tao Beach, the big sand beach is referred to as Hat Sai Yai while the small one is Hat Sai Noi. Look for buses to Khao Tao along Phetkasem Road (the main highway). Tell the driver you are getting off at the village of Baan Khao Tao which is labelled as Hua Hin 101. 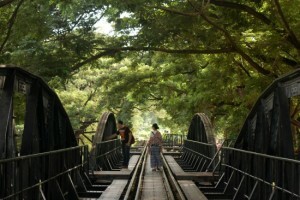 From here, hire a tuktuk or songthaew to get you to the jumping off point of Khao Tao Hill. If you find this a bit complicated, just hire a taxi for half day or one day to take you there. Markets provide insights as to how locals live, it’s a pleasant way to get up close and personal with their culture. 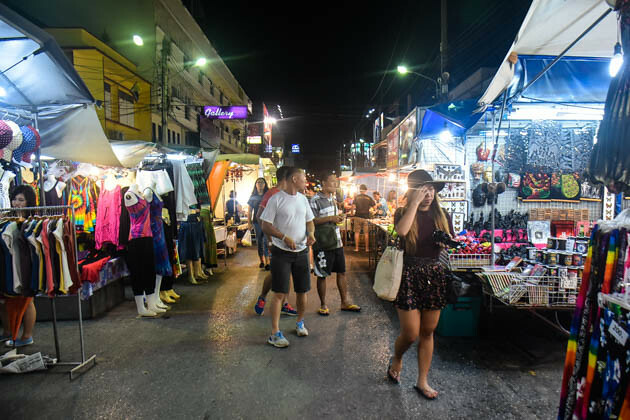 Hua Hin Night Market exudes a carnival-like atmosphere providing tourists with a wide range of local foods, apparels, hand-crafted souvenirs, accessories and the likes. The Hua Hin Night market opens at 6:00 PM from Petchkasem Road to the railway line. Also check out the restaurants along the alley serving delicious local dishes and fresh seafood. 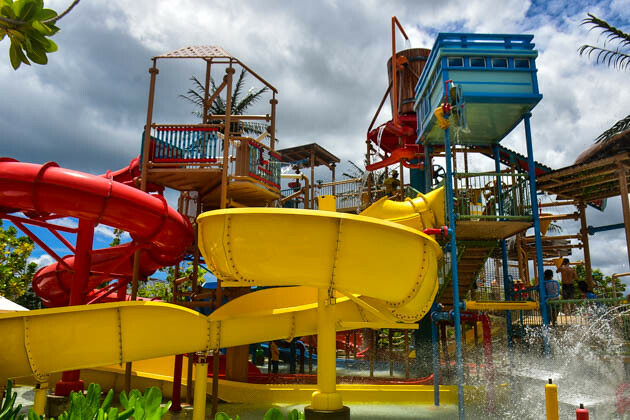 Taking pride in having 19 thrilling rides and slides, the Vana Nava Hua Hin Water Jungle is dubbed as Asia’s first water jungle. Check out the largest slide in Thailand, the Abyss, as well as Vana Nava Falls, the tallest man-made waterfall in Asia. Also try the surfing lesson inside the park, the Aqua Loop, the Master Blaster and Super Bowl. We haven’t really tried the rides and slides here as we were just toured around so I won’t be able to provide you with a review of Vana Nava Hua Hin. Entrance fee is TBH 1,000 for adult, and TBH 600 for children and senior. Thai Airways fly daily between Manila and Bangkok. You may take the non-stop VIP coach bus from Suvarnabhumi Airport in Bangkok to Hua Hin. Round trip fare is THB 305 and travek time is approximately 3 hours. Bus departs at 7:30 AM, 9:30 AM, 11:30 AM, 1:30 PM, 3:30 PM, 5:30 PM and 7:30 PM. You may also ride the bus to Hua Hin that leave from Sai Ta Mai Terminal in Bangkok every 20 minutes. Travel time is 3.5 hours and fare is THB 175.